Weed is now legal for recreational use, plastic bags are banned, cigarette taxes were increased, and elimination of the death penalty was rejected, were among the results of 17 propositions that were on the ballot. Proposition 51 Education Bond – We recommended a “yes” vote and it passed with 54% of the vote. 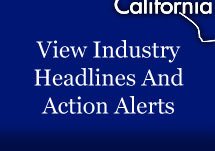 Proposition 52 Medi-Cal Hospital Fee Program – We recommended a “yes” vote and it passed with 70% of the vote. Proposition 53 Revenue Bonds – We recommended a “no” vote and it failed with 51.5% of voters rejecting the measure. The board “opposes” this measure which will require voter approval before the issuance of public infrastructure bonds (“revenue bonds) over $2 billion. Proposition 54 Legislative “Sunshine” – We recommended a “yes” vote and it passed with 64% of the vote. The board “supports” this measure which will prohibit the Legislature from passing any bill until it has been in print for 72 hours prior to a vote. Provides legislative “sunshine” and attempts to stop last minute “gut-and-amend” bills. Proposition 57 Criminal Sentencing – We recommended a “no” vote and it passed with 63% of the vote. The board “opposes” this measure over concerns it may exacerbate the homeless problem in urban areas by releasing inmates earlier than sentenced.